Give a unique gift to a family member with a Personalized Family Tree Square Canvas to hang on their wall. 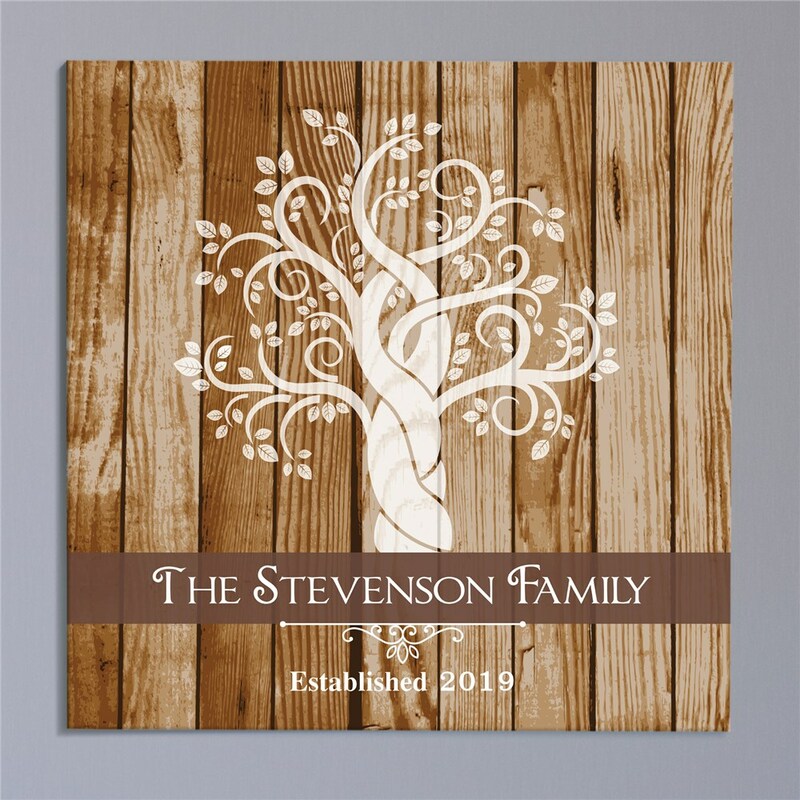 We will custom create, on our trendy wood-look design, any custom message line 1(ie: The Stevenson Family) and any custom message line 2 ( ie: Established 2017) to make a truly one -of-a-kind wall canvas available in a variety of sizes. Personalized wall canvas prints like this one are unique housewarming gift ideas for any new homeowners. Each square canvas is available in sizes: 16"x16", 18"x18" or 20"x20". In addition, each canvas offers two canvas wrap thicknesses to choose from. We offer a standard wrap which is 3/4" thick or a gallery wrap which is 1.5" thick. The gallery wrap is available for an extra fee. Love it so much I just ordered another one as a gift! My sister in law loved it! Exactly as described! !